Rajkumar Ajit Narayan Singha, a well-known writer and direct descendant of the last of the independent Ahom king Purandhar Singha, breathed his last at his son’s residence at the SK Bhuyan Road in Guwahati at about 8.30 pm on Sunday. Great grandson of the Ahom king Purandar Singha, and the mouzadar (government land revenue collector) of Jorhat town (Number 1) and Garmur Mouza, Singha was suffering from various old-age ailments for a prolonged period. He was 70. Associated with various social organizations he was the chairman and main functionary of Hopeline, which helped child domestic workers become literate among other works. Singha also maintained ties with another branch of Tai Ahoms who had settled and ruled Thailand and a delegation from that country had once visited him here. 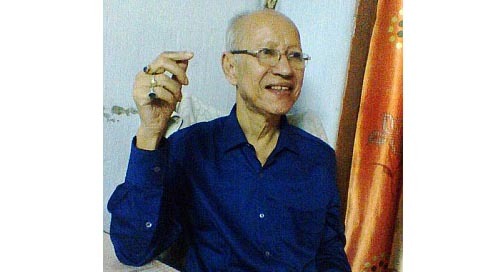 Singha, who resided in his ancestral house behind Elite Cinema Hall, was a famous columnist for an Assamese daily, Dainik Janambhumi. A source here said that Singha leaves behind his wife, a son, a daughter, two elder sisters, two younger brothers and a host of relatives. His last rites will be performed on Monday in Guwahati. Singha belonged to the Tungkhungia clan of the Ahom royal dynasty and the family has been carrying on the occupation of mouzadar of Jorhat town since the British started the revenue system in Assam in the nineteenth century. His death has been widely mourned here.